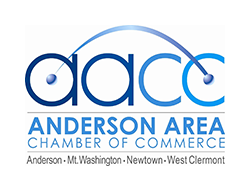 Neighborhood Business Districts (NBD’s) are supported by the Anderson Area Chamber of Commerce in part-nership with Anderson Township, Hamilton County Sheriff’s Office, and the Anderson Township Fire and Rescue Department. Through these partnerships, businesses are offered multiple ways for potential growth, a vehicle for staying current on what is going on in the township and to protect their businesses, and an avenue to mar-ket themselves in the Anderson area. Our NBD covers the area south of Beechmont along Five Mile Road, Fehl Lane, Nimitzview Drive and Jager Court. This is the largest professional district in the Township.